In the hope to further the fight against animal cruelty and increase awareness around the welfare of the same, Pawse for a Cause is making a comeback, and will grace our shores with a second annual charity carnival this year. Set for 29 July 2017 at Desa ParkCity, the effort seeks to spotlight the plight of strays nationwide, raise funds for pet non-profits, and educate the public on the Animal Welfare Act soon taking effect. 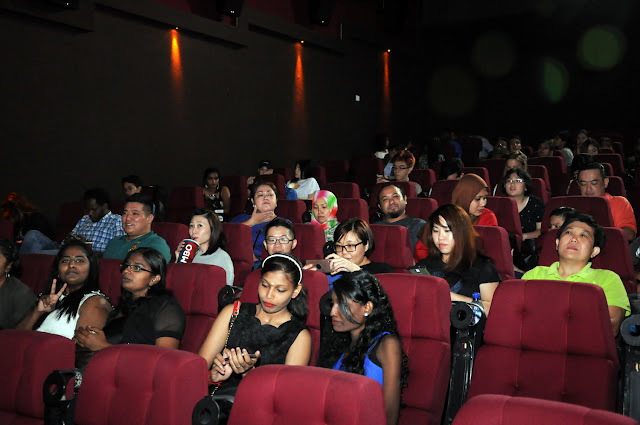 Media members and invited guests waiting to catch the premiere of UIP's A Dog's Purpose at MBO Cinemas, CITTA Mall. In collaboration with United International Pictures, this celebratory sequel launched in grand fashion during the premiere of A Dog’s Purpose at MBO Cinema, CITTA Mall. CITTA Mall was chosen as the preferred venue for this launch due to the mall's history of working with similar canine welfare organisations and its accessible location, what with the spacious compound available just beside MBO Cinemas. Inspired by the human bond, the film depicts the riveting tale of a dog who navigates multiple lifetimes to discover its true reason for existence. Meanwhile, the programme in July endeavours to provoke the appropriate call to action whereby a wider audience comprised of public and corporate donors are led to participate in cash and kind, and lend to the cause without ceasing. The 2017 fundraiser target has been set at RM100,000—the sum total of the proceeds will be evenly distributed amongst deserving pet welfare beneficiaries nationwide. 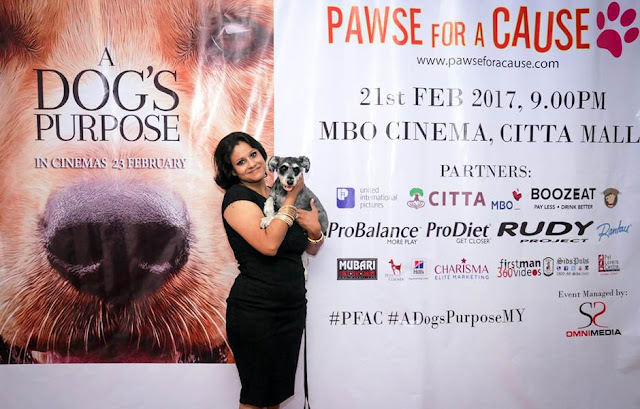 Pawse for a Cause serves as guardian of the initiatives outlined above. For more information, visit the Official Pawse for a Cause website. Potential financial investors or parties interested in making bulk donations (i.e. food and shelter supplies) are advised to get in touch with Seema Subash directly at +60162363197. Do follow the official Pawse for A Cause social media for more exclusive update Facebook, Twitter and Instagram.